January 11, 2019  Wa Lone and Kyaw Soe Oo were reporting on a massacre of Rohingya men when they were arrested and later convicted of violating the country's Official Secrets Act. They were sentenced to seven years. 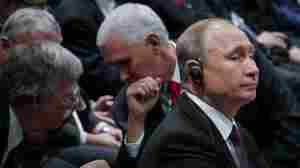 November 15, 2018  They "discussed the upcoming G20 Summit and touched on the issues that will be discussed" when President Trump and Putin attend that meeting, the White House says. November 14, 2018  Speaking at a regional summit in Singapore, the vice president called the persecution of Myanmar's Muslim minority "without excuse." He also called the jailing of two journalists "deeply troubling." September 28, 2018  The 1991 Nobel Peace Prize laureate's international reputation has taken a severe beating over her government's failure to halt atrocities against the country's Rohingya Muslim minority. September 13, 2018  Aung San Suu Kyi, who won the 1991 Nobel Peace Prize, has come under intense international criticism for her muted response to the army's campaign of terror against the Muslim minority. 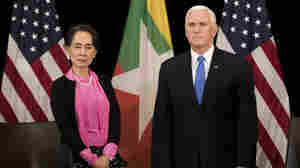 September 5, 2018  Vice President Pence said the two journalists should be "commended — not imprisoned" for exposing human rights abuses in Myanmar. They were handed a seven-year prison sentence, inciting global outcry. August 27, 2018  A new report on the mass killings of Rohingya Muslims suggests six Myanmarese commanders be prosecuted. Investigators also say civilian leader Aung San Suu Kyi did nothing to stop the attacks. June 21, 2018  "All this likeness of Martin Luther King and Mahatma Gandhi, it's all make-believe," says the director of a civic organization in Yangon. "And now we know the real Aung San Suu Kyi." March 7, 2018  The Nobel laureate's handling of the Rohingya Muslim crisis in Myanmar led to the museum's decision. February 1, 2018  The Associated Press interviewed more than two dozen refugees in neighboring Bangladesh, some of whom had time-stamped cellphone videos backing claims of several mass graves. January 26, 2018  Myanmar's leader has "moved in a dangerous direction," the veteran negotiator tells NPR. "She doesn't want any dissent," he says. "She's got to change." January 24, 2018  "I cannot in good conscience serve in this role," said former New Mexico Gov. Bill Richardson, as he announced his resignation from the Advisory Board on Rakhine State. December 20, 2017  Yanghee Lee, the U.N.'s human rights special rapporteur to Myanmar, was told that she will not be allowed to enter the country for the rest of her term. Lee had been scheduled to visit in January. December 18, 2017  Amid her country's brutal treatment of the Rohingya, Myanmar civilian leader Suu Kyi's once-saintlike reputation has taken a steep dive. 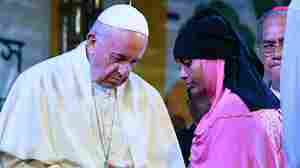 December 1, 2017  "Pope Francis was visibly moved as he met the refugees who fled a military crackdown in Myanmar to neighboring Bangladesh," NPR's Sylvia Poggioli reports from Dhaka, Bangladesh.